There is NO Charge for using our standard colors. 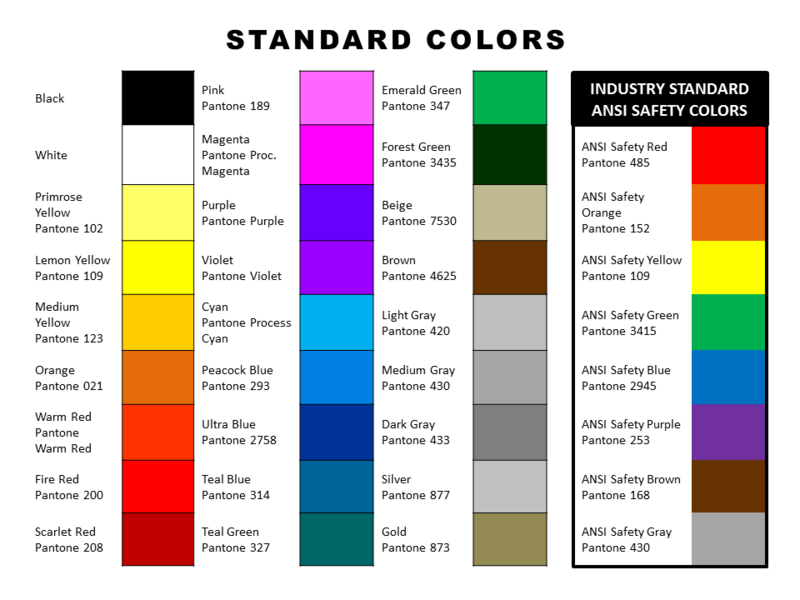 Any other color must be mixed and is subject to an additional charge. Due to variables in ink formulations, differences in substrates and overlaminates, subtle color changes can occur beyond our control. Therefore, perfect color matches cannot be guaranteed. Ink printed on any background other than white may appear darker than shown.